There were over 30 members listening to Barry's talk on the 21st April 2010. 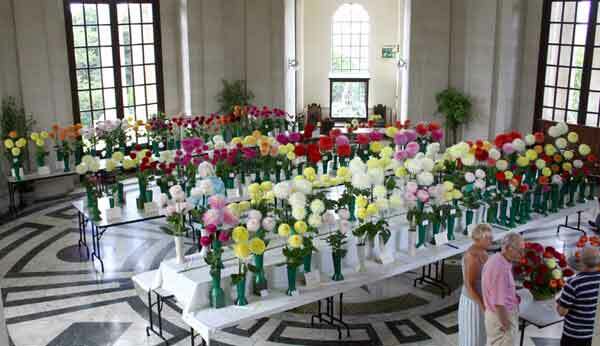 The talk was about Barry's experiences in growing dahlias - something he started in 1973! 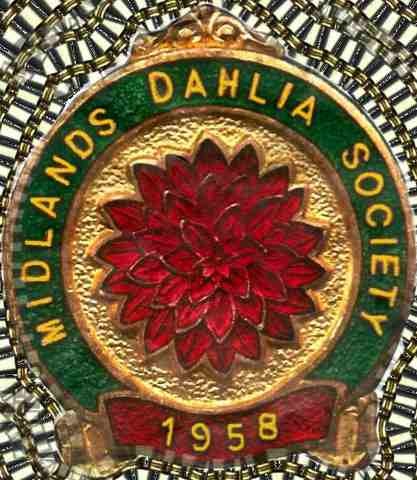 For those who have not met Barry, I have 'borrowed' this photo from the north west dahlia web site(http://www.north-west-dahlias/index.htm.co.uk) - Barry is a member. Barry began growing and showing dahlias in the small dec class in 1973, with some success in the following years. He then moved on to other things with pressure of work etc. 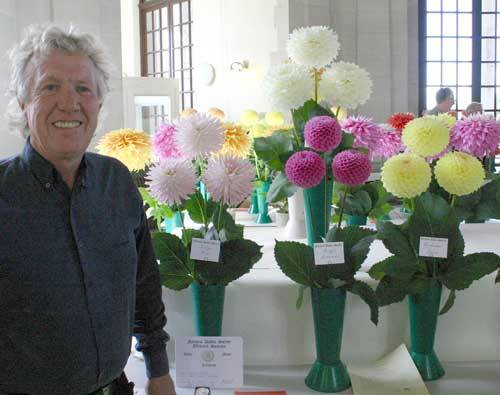 In 1993 he bought a farm, however it was 1999 before he grew some miniature dahlias, winning the min dec class in Harrogate in 2001.
where to grow the dahlias? Barry decided on a strip facing East to West. It is 110ft by 26ft, with covers, these are left on till June - so that the correct amount of water is in the soil. giants need 1 gallon of water a day, so a set of water pipes should be used. Barry analyses his soil every year. Nitrite tends to leach out. Potassium accumulates, so must be checked. pH needs to be 6 - 7. All beds need separately checking. Drainage pipes were laid along the new beds. Barry sterilizes his soil every year - For an article by Barry on Soil sterilization click the following link: http://www.north-west-dahlias.co.uk/dahliaitus.htm. Barry let us into one of his dahlia secrets! To stop damping at back of blooms when transporting and showing, he puts some Chrysal in the water. Finally Barry invited MDS members to exhibit at the north west show this year. They have a very impressive venue near Lancaster. Below is a picture of this!! !